In Love with an Addict…..
Do you know how it feels to be in love with someone addicted to drugs? Do you know how it feels to have children with this person? Do you know how it feels to “look the other way” because this person is trying to hide what they are doing? Do you know how it feels to pretend that you don’t know the amount of drugs the person you love is doing? Do you know how it feels to want to help the person you love but they don’t think they have a problem or even know that you see the problem? Do you know the repercussions of being with a drug abuser? Do you know how it feels to not be able to let go of this person because you have now become addicted? Not addicted to drugs but addicted to this person and the need to want to help them or the hope that they will one day get better. Nobody’s story is the same but they seem to all have the same basis. Nobody in your life will understand because this person may be quite different from the type of person you would normally date but it was just something about them. Although you were very aware of the roughness around the edges, there was something pure about their heart. You don’t know what it was but you just had to be with them but it doesn’t take very long for things to get exposed. Being in love with someone addicted to drugs is hard, especially if you don’t do drugs yourself. You never know what person you’re going to get. What I’m saying is sometimes when they come down off that high and they begin to crave more they can be evil people. Very angry and hurtful and you never know if its one of those times until it happens. Having children with this person makes the soul tie even tighter because its hard to turn a child away from their parent because all they feel is pure love no matter what. Sometimes you have to look the other way because after being with the person for so long you start to notice patterns and can tell when they may have done drugs previously but you’re afraid to say anything so you don’t. Although you want to help the person, the first step to recovery is admittance and if they don’t think they have a problem its a lost cause. Being with a person like this comes with a LOT of baggage. They are typically addicted because of deep-rooted issues that they have being trying to numb all of their lives but the thing is, doing these drugs completely alters your mind. Eventually they can no longer control their emotions and guess whose there to get the brunt of it all, YOU. Most people addicted to drugs tend to be abusive as well, but here’s the thing, you never know when its going to happen. I say that meaning, things will be beautiful for months on end but once they get to a point where they can no longer fight the addiction you become the target. Whether its physical or emotional, you become the worse person on the planet to them. They begin to inflict all of the pain inside of them on you and everything becomes your fault. This can last as long as a day or longer. All the way until they finally get that hit again, then everything is back fine. The reality of the matter is these type of people tend to have no remorse for their actions. It’s ALWAYS a motive because ultimately the main goal is how to benefit themselves no matter who they hurt. Time after time you would sit and cry and pray and wonder what you were doing wrong that your relationship was failing. You have to realize that what you’re dealing with was not your regular relationship quarrels. These issues have nothing to do with you. These issues are bigger than you. But for whatever reason it becomes hard to let go. You become addicted to that person. You hope to finally get back to the pure heart that you were once exposed to but just like any addiction you become addicted to chasing that high you first felt the first time it hit you. You have invested so much time and its hard to move on from that. Some people will say that when dealing with someone who has these type of problems that they don’t love you. I can’t completely agree with this because I don’t doubt the love in all of these cases. I just feel that the love is not strong enough to feed what they need. All in all, there is no excuse or reason that you should stay and accept the treatment received by this person. If they aren’t willing to get help for themselves then staying is only going to cause more harm for you. I can only imagine very few outcomes for a situation like this. I honestly I don’t have all the answers for something like this, but I do know this, you have to realize at some point that you can not help them and if you have found yourself in a situation like this or similar to this…RUN…before it’s too late and you end up becoming addicted to that drug that you despise so much trying to stay STUCK in love with an addict. 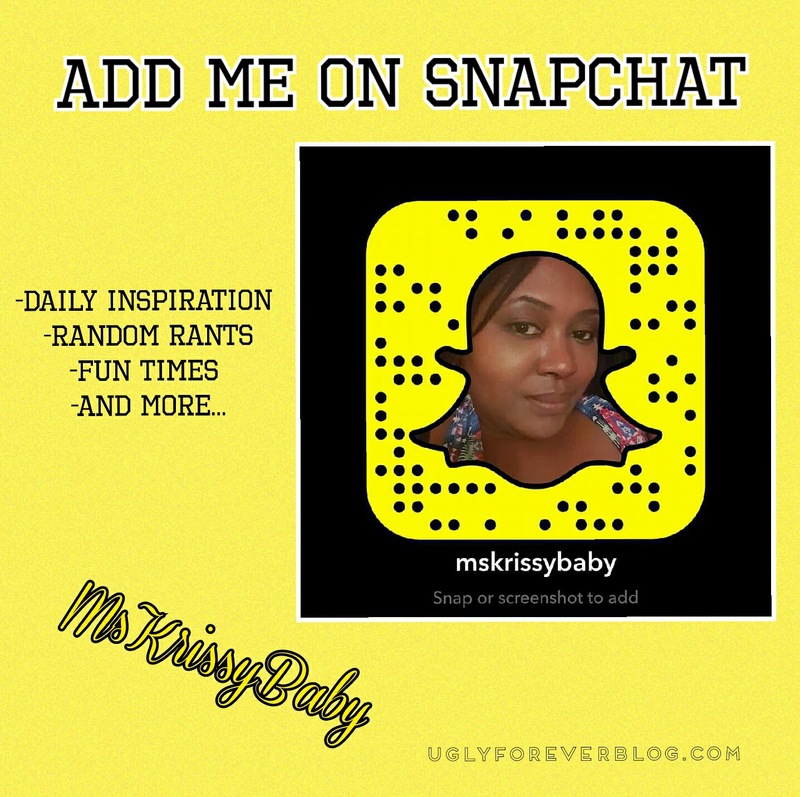 Posted in Feel It Fridays - Random Posts, Inside the Mind of Krissy G.Tagged Addiction, Beauty, Feel It Friday, Healing Wednesday, Health, Krissy G, Love, Love Yourself, Motivational, Random, Self Esteem, Self Love, UGLYForever. I feel like this is my post… I can so well relate..